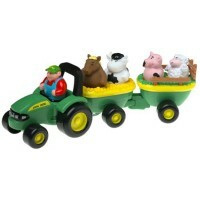 The brightly colored toy tractor comes complete with 5 farm animal friends. 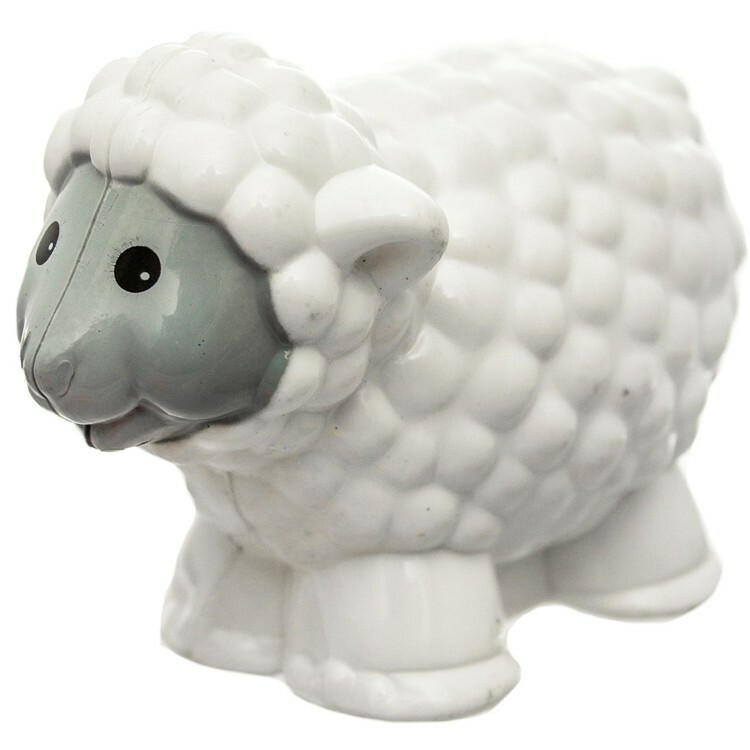 Award Winner: Today's Toy Test . 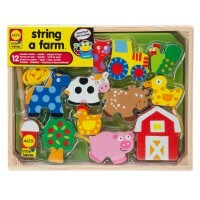 Take a trip to the farm! 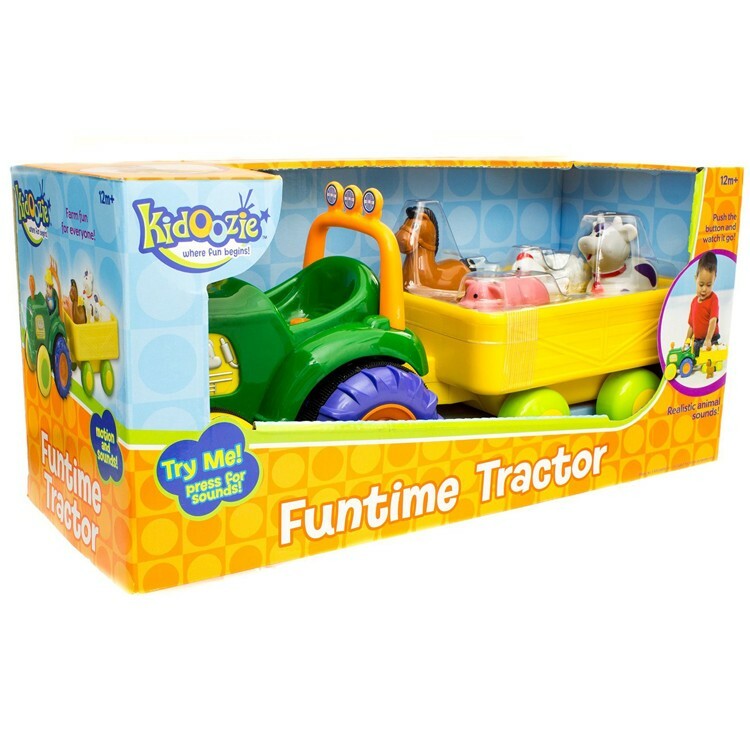 Funtime Tractor Farm Playset by Kidoozie is an exciting interactive toy for toddlers. 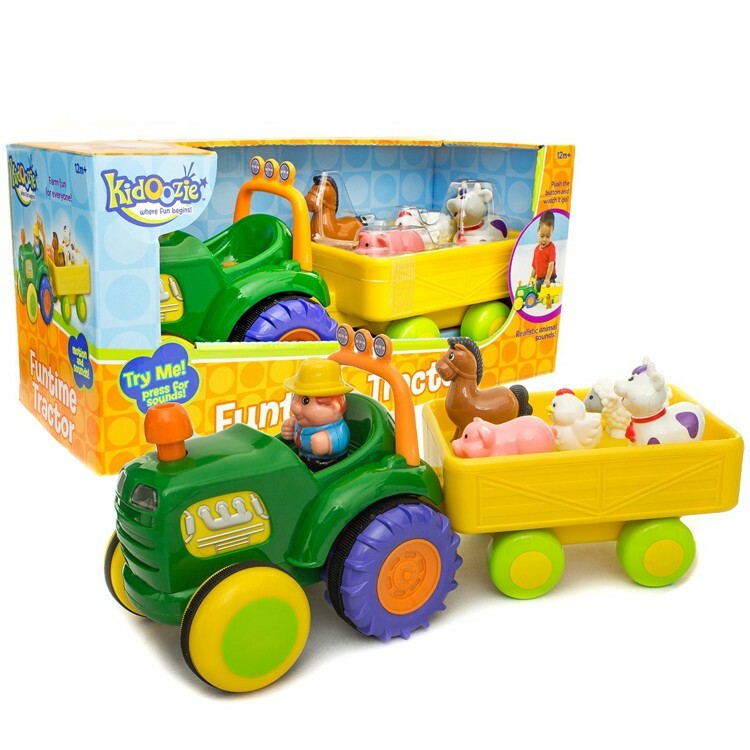 The brightly colored toy tractor comes complete with 5 farm animal friends. 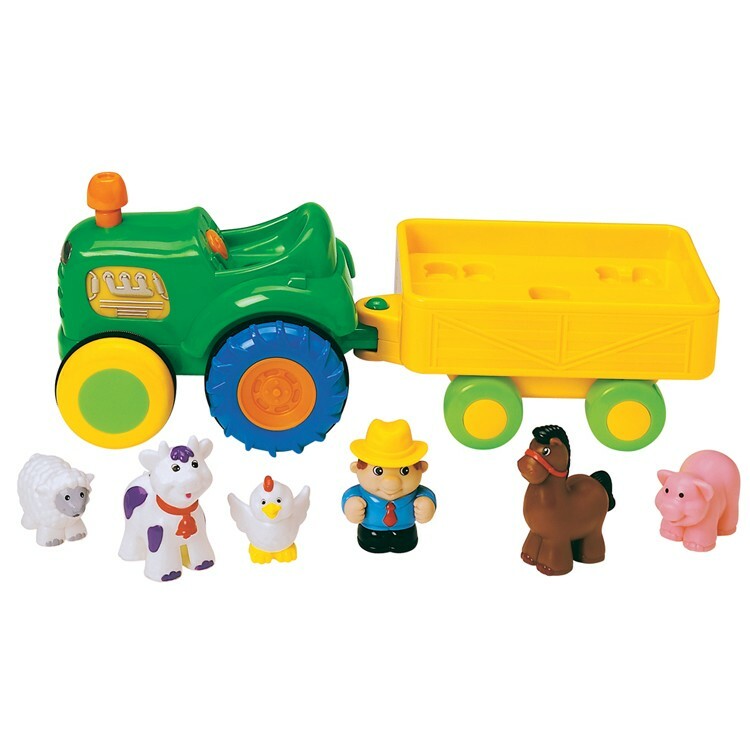 Each toy figurine makes a real animal sound when you place them in their appropriate spots on the tractor. 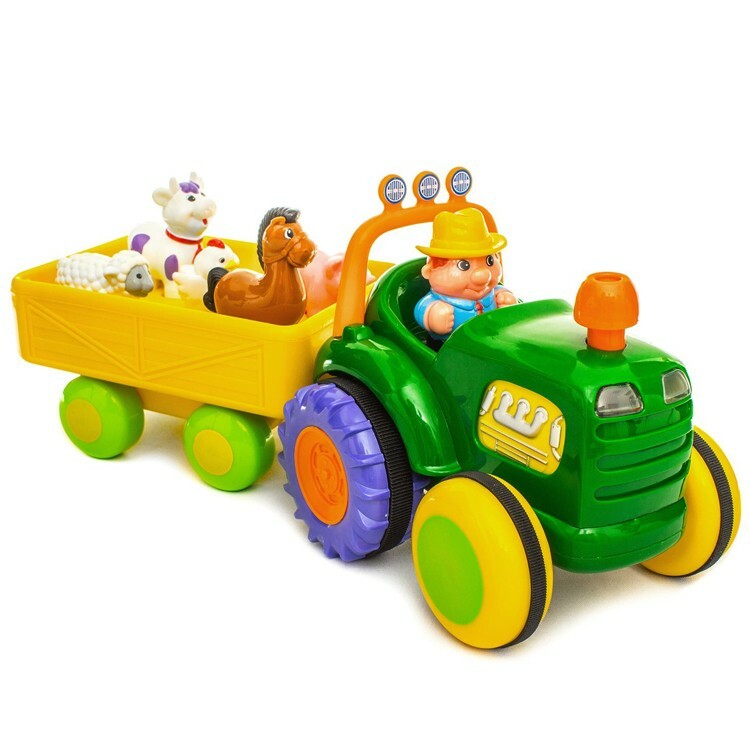 This lovable farm tractor, complete with a noisemaking horn, is driven by a little farmer. When you push on the driver a whimsical tune plays. 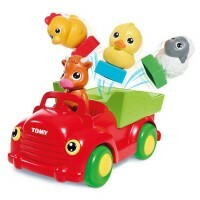 When you press the truck's funnel he really drives the truck too! 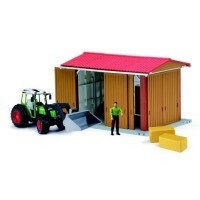 For 10 seconds the vehicle moves along the floor while making realistic engine sounds. 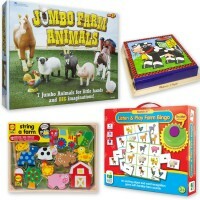 Toddlers will love this combination of music, noise, and farm life! 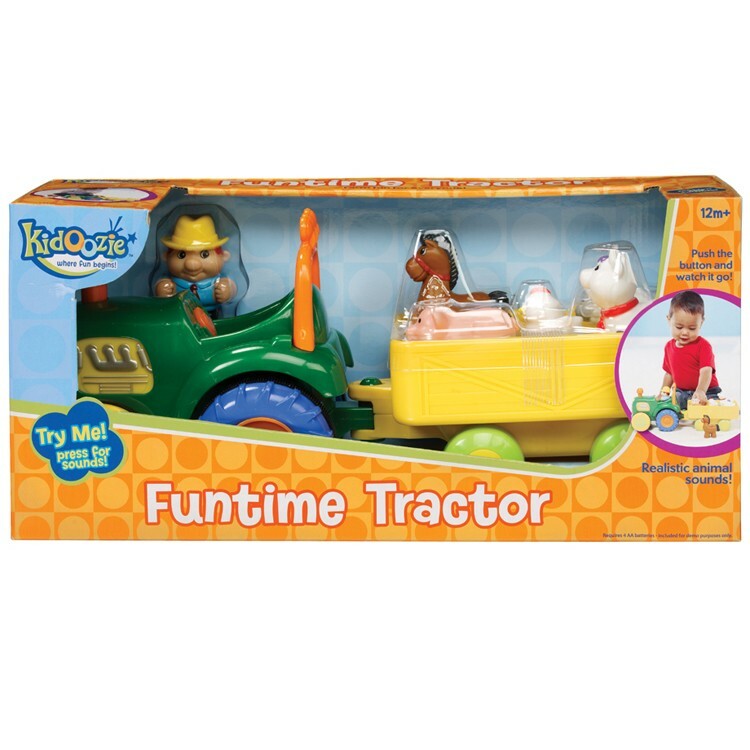 Funtime Tractor Farm Playset is a great toy to encourage motor skill development and to teach animal noises. 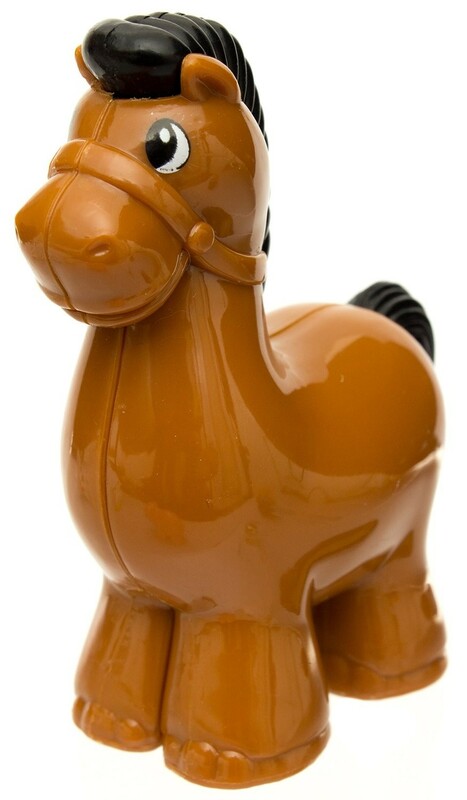 Smooth edges make it an ideal toy for even the youngest toddlers. 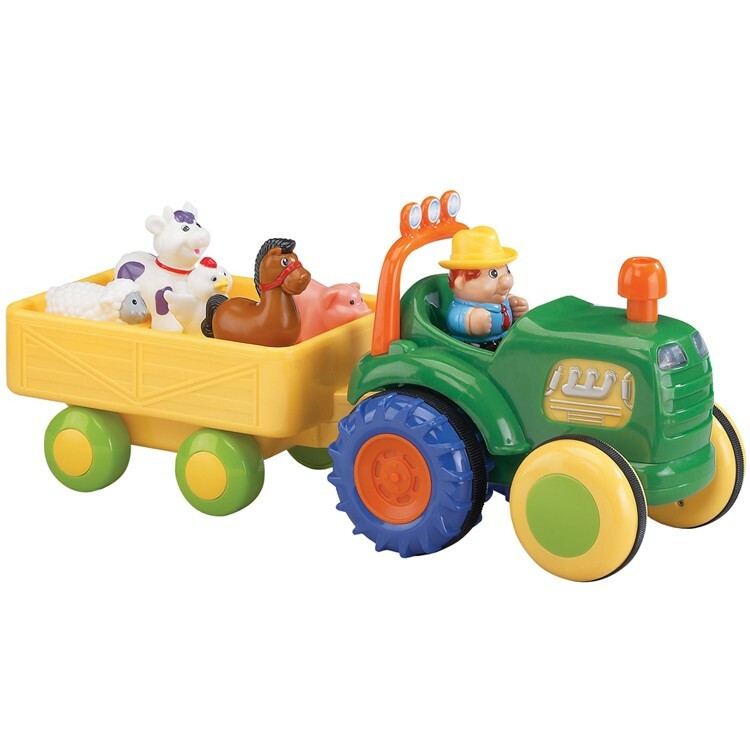 Let this toy drive right into your own home and transport your child to a noisy and playful world of good old farm fun! 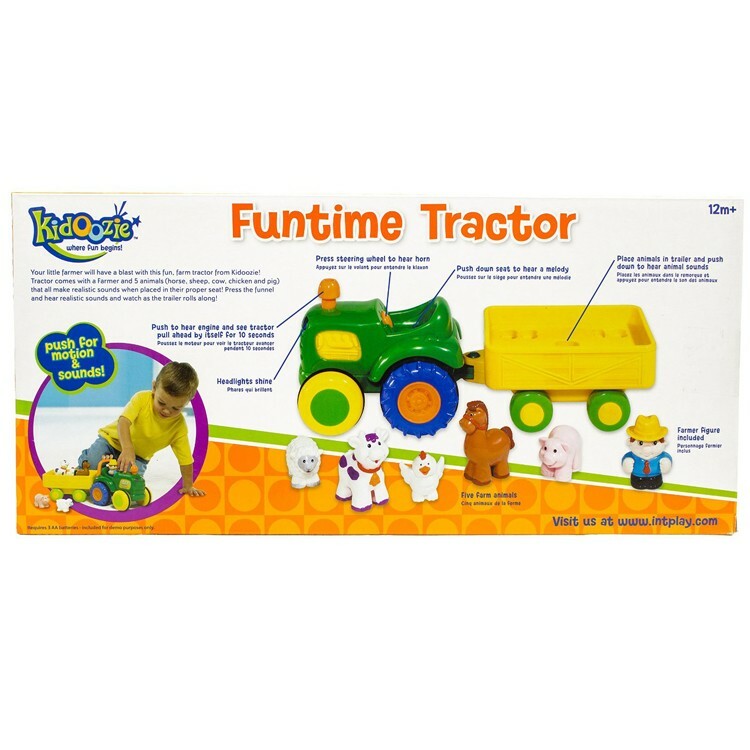 Dimensions of package 6.25" x 16" x 7.5"
Write your own review of Funtime Tractor Farm Playset. Rating: 5 by Karla, CA This really exceed my expectations also. 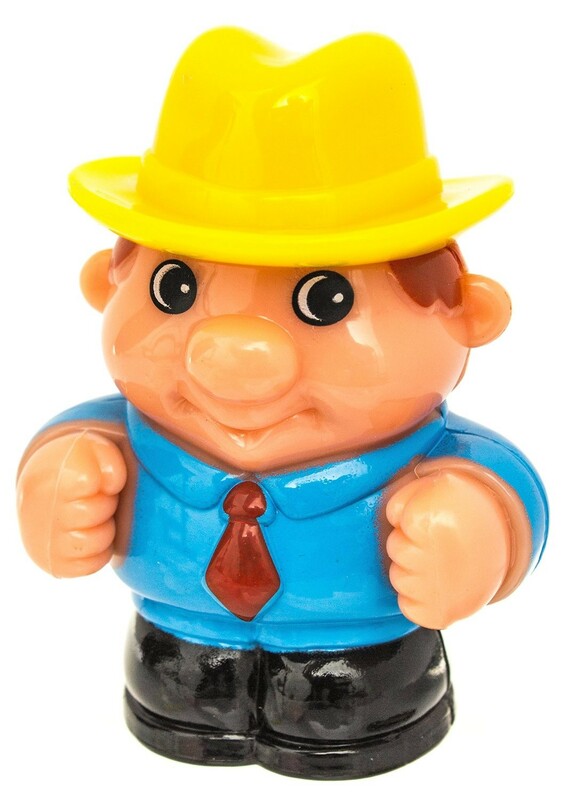 It is very interactive. 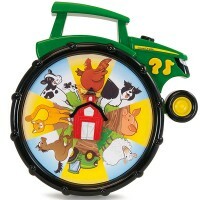 My year old grandson loves the music and the animals. He loves that it moves forward since he can chase it. Rating: 5 by Carole, PA This is a Christmas gift. 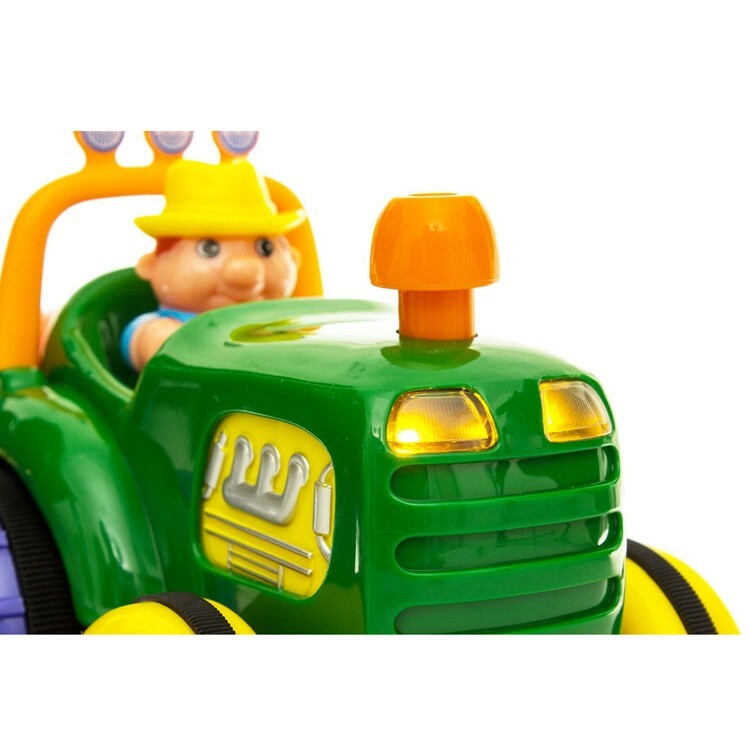 Rating: 5 by Alice, UT My son loves this tractor. 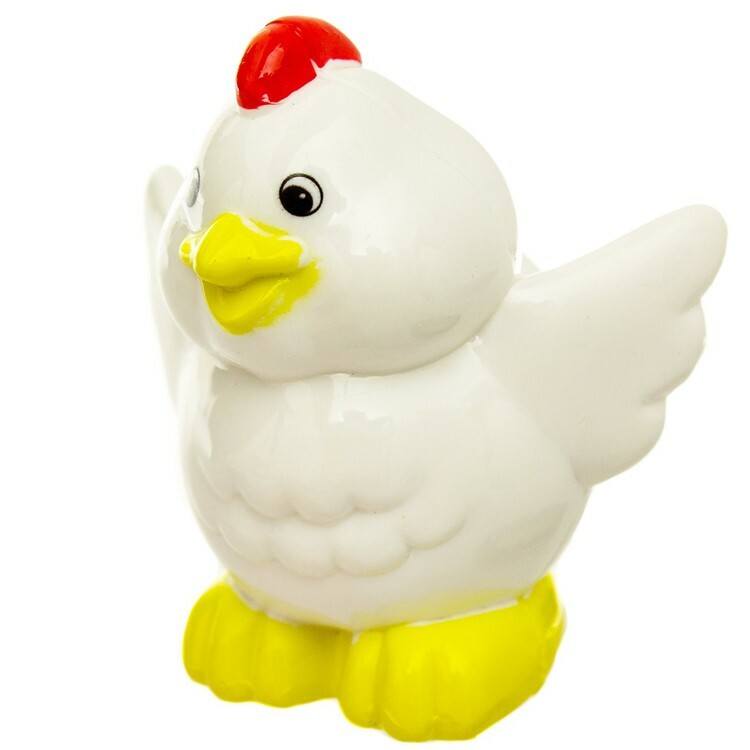 He plays with it for hours, because it provides so many different activiites. 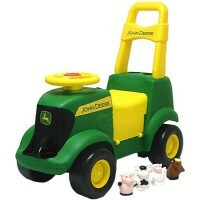 Rating: 4 by Julie, OH My Grandson was amazed when he saw the tractor the first time. His eyes got so big when my husband beeped the horn and flashed the lights. 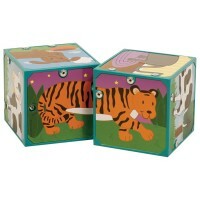 As he gets older, it will be a good way for him to learn about the sounds that the animals make. 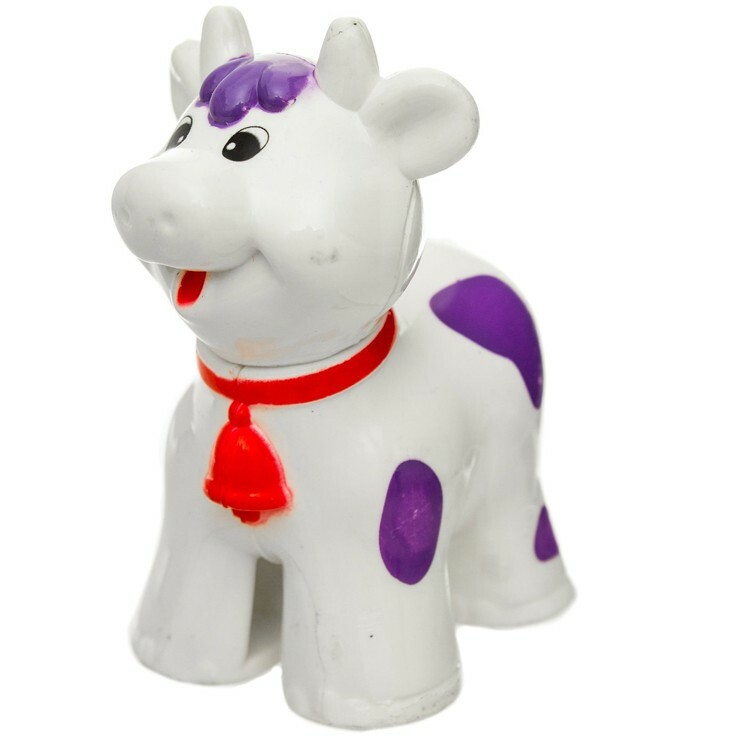 I am very pleased with toy. 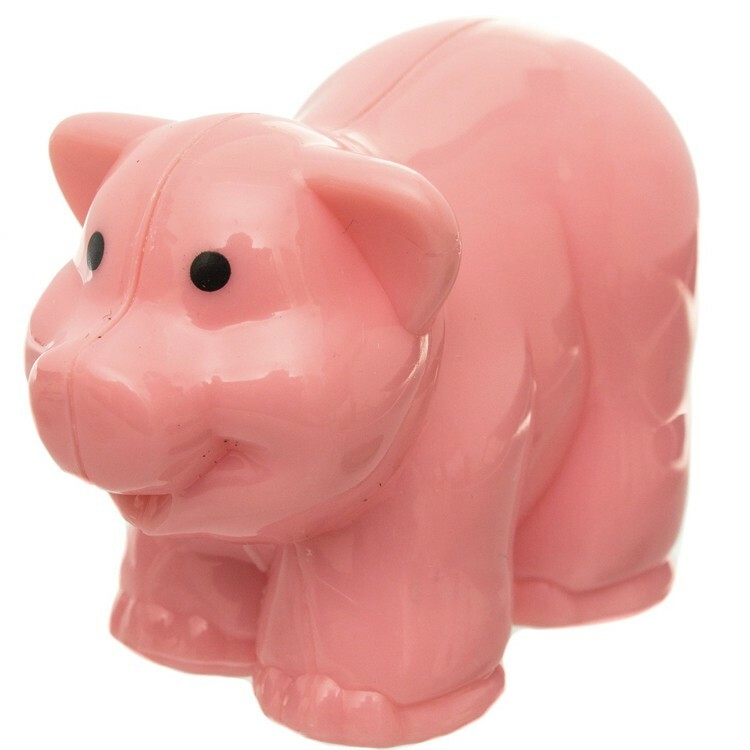 It was a very good value for the money.